Be the first to share your favorite memory, photo or story of John. A.. This memorial page is dedicated for family, friends and future generations to celebrate the life of their loved one. ALEXANDRIA, IN-John A. “Johnny” McClish, 91, passed away on Tuesday, November 20, 2018 in his residence surrounded by his loving family following an extended illness. 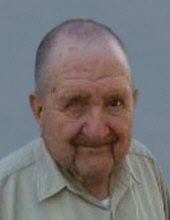 He was born on October 20, 1927 in Alexandria to Albert and Georgia (Pherson) McClish and has lived in Alexandria all of his lifetime. He retired from Red Gold in Orestes after 32 years of employment. Johnny enjoyed fishing, gardening and watching his birds. He was a quiet man and of a gentle spirit who genuinely loved people. Services honoring Johnny’s life and legacy will take place at 1 pm Saturday, November 24, 2018 in the Owens Funeral Home, 412 North Harrison Street, Alexandria. Chaplain Randy Perry will officiate. Interment will follow in Park View Cemetery in Alexandria. Friends may call at the Owens Funeral Home after 11 am on Saturday prior to the services. Memorial contributions are suggested to Kindred Hospice through the funeral home. Owens Funeral Home is honored to care for Johnny and the McClish family. To send flowers or a remembrance gift to the family of John. A. "Johnny" McClish, please visit our Tribute Store. "Email Address" would like to share the life celebration of John. A. "Johnny" McClish. Click on the "link" to go to share a favorite memory or leave a condolence message for the family.